The Glyndŵr’s Way is an unusual National Trail as it doesn’t follow any particular geographic features or any historic routes. Given it’s named after Owain Glyndŵr, the last Welshman to hold the title Prince of Wales, you’d think it might follow a historical journey he made, or links lots of places he visited. But if you did, you’d be wrong. Instead the Glyndŵr’s Way is more arbitrary. It merely links a variety of towns and villages with Glyndŵr connections and makes you walk between them. This accounts for its curious and unusual V shape. This, however, is a good thing. It gives the route a huge benefit as it gave the route’s creators the chance to do something unusual in National Trails. With no need to follow a particular range of hills, or some ancient drovers road, it allowed for a route which can pick and choose from the best the area has to offer. And that makes it a particularly good walk to choose. 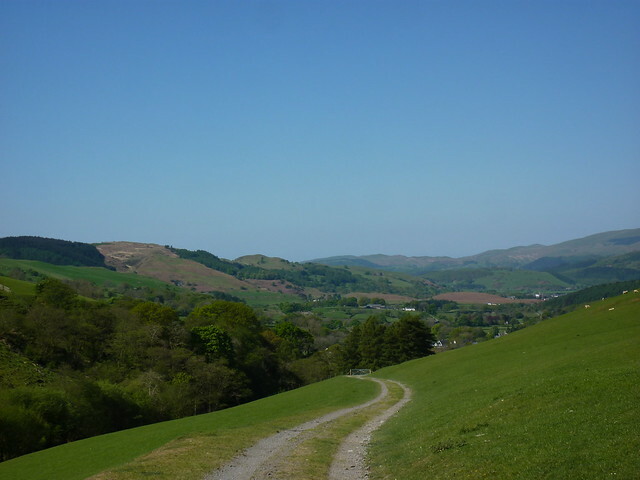 The Glyndŵr’s Way goes through the county of Powys in Wales. For the most part it features hilly farmland, with sheep dotted around regularly. 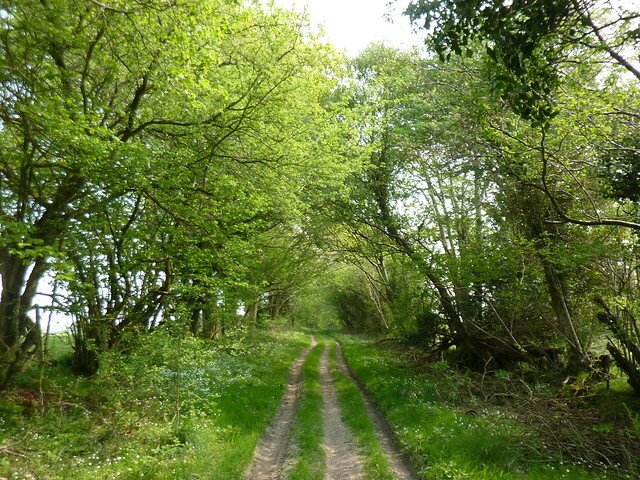 There are also sections of moorland, and forestry which help create a varied walk. There are also some fantastic views of rolling green hills? Lots of them, and beautiful panoramas as far as the eye could see? This is a stunningly attractive walk, and very pleasurable on the eyes. The trail is relatively new – it only became a National Trail in 2002, although it existed in a different form before that – and has yet to capture much attention which means its beauty and splendour can be admired in relative tranquillity. Coupled with the fact that this is a sparsely populated part of Britain and you will have a wonderfully quiet walk. On our trip (in April 2011, which included a period of four bank holidays), we didn’t see anyone at all on most days. However the trail never leaves you stranded for accommodation and refreshment. The trail passes through many small villages en-route. It is very well waymarked. That said, the Glyndŵr’s Way is a strenuous walk. You’ll find yourself going up and down hills several times a day which can be hard going on the legs. Whereas many walks will see you walk up a hill then walk along the ridge for a good part of the day, the Glyndŵr’s Way seems to delight in going straight up one, then back down again not long after, before repeating the process shortly after. Several sections contain two to three stiff climbs a day. However this is not a walk to be overlooked. It may offer many challenges, however the rewards certainly make it worth it. You can see the route of the Glyndŵr’s Way using the map above. Using the controls you can scroll around, zoom in and explore the route. Note that this map is a guide only, and should not be used for navigation. As mentioned above, the Glyndŵr’s Way goes through a particularly sparsely populated part of Wales. The southern section between Knighton and Machynlleth is especially empty. The designers of the route have made sure that it always passes through somewhere with places to stay, and a pub to drink in. However the distances between villages and towns, and limited amounts of accommodation in some sections mean that there aren’t many ways to vary the itinerary, and longer distances are sometimes compulsory. As such, the usual way is to split the trail in to nine days of walking. All locations have accommodation, a pub and a shop, unless otherwise noted. Note that there are several farms and cottages which also offer B&B which may allow you to break up several of the longer days. Locations with a railway station are marked with a 🚂. Note: all distances are approximate. 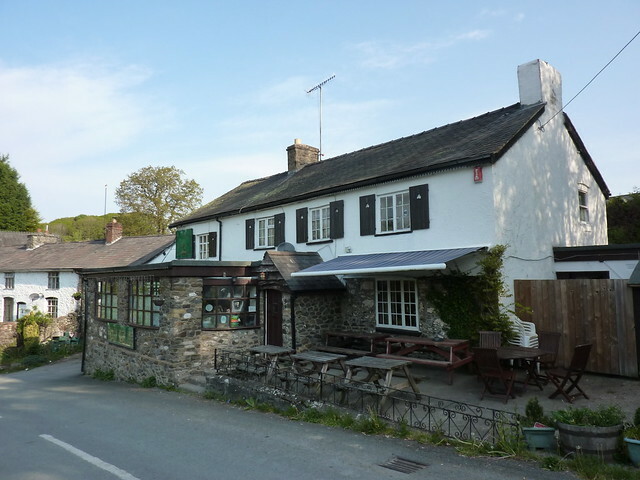 Nearest pub serving food is the Radnorshire Arms, 2 miles down the road at Beguildy. Felindre’s pub, the Wharf Inn, does not do food. No shop. Abbeycwmhir has a pub (the Happy Union), however it does not serve food. B&Bs in the village usually offer evening meals if booked in advance. No shop. As the trail goes through a remote part of Wales, and over hills and moorland, we recommend that the walk is best done between April and October. As the route goes through a rather sparsely populated area of Wales with extremely limited public transport options, the Glyndŵr’s Way is not easy to split in to section. The most practical way to split the route is in two chunks, stopping at the town of Machynlleth. This is the half way point on the route, and there is a railway station with connections to Shrewsbury. Each half can be done in five days. Machynlleth – the major town in the area, Machynlleth is where Owain Glyndŵr set up his parliament. The Parliament Building (actually dating from a later parliament) is open to the public. Just outside the town is the utterly superb Centre for Alternative Technology which is a fascinating place focussing on environmental matters. The town also has art galleries and museums. Lake Vynwy – a reservoir surrounded by forests, the area is a popular tourist destination. But don’t let that put you off. There’s lots of lovely forests and views of water to enjoy too. 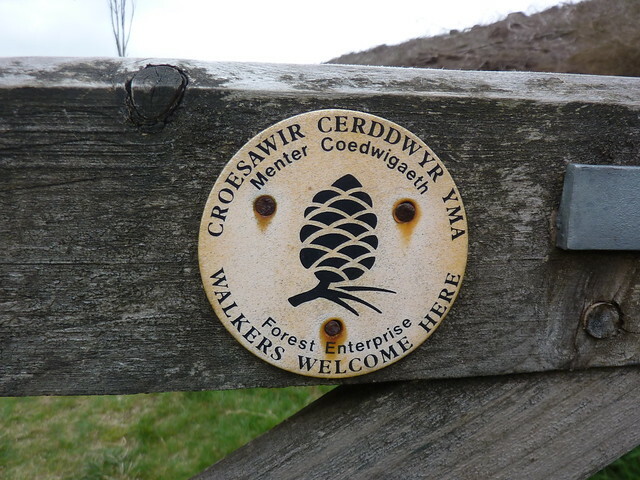 If you’d like to make your walk longer, it’s possible to extend the Glyndŵr’s Way by connecting with the Offa’s Dyke trail. The two routes connect at Knighton, and Offa’s Dyke also passes through the village of Buttington which is two miles from Welshpool. The most obvious way is to connect the two walks to create a circuit walk. Knighton to Welshpool is approximately 30 miles by the Offa’s Dyke trail, which can be completed in two days. As the Glyndŵr’s Way passes through several small villages, accommodation on route can be in short supply. Therefore advance booking is absolutely essential. If you can’t get a room on the route itself, there are usually alternatives off route who (if you ask really nicely) may be able to get a lift to and from the trail. As with all National Trails, an accommodation guide for the Glyndŵr’s Way can be found on the National Trail website. Alternative accommodation can also be found by visiting the website of the Welsh tourism board, Visit Wales. There are several companies that will book your accommodation for you. You can find a list on the official trail website. The National Trail website also includes a list of companies that offer baggage transfer. If you wish to go camping, then there are options. The National Trail website includes a list of known sites on or close to the trail. Some of these are pubs or B&Bs which also offer camping for walkers. The Glyndŵr’s Way traverses a lot of hill farm, with many fields full of sheep. In many areas wild camping is possible, however you should always check with the landowner first. 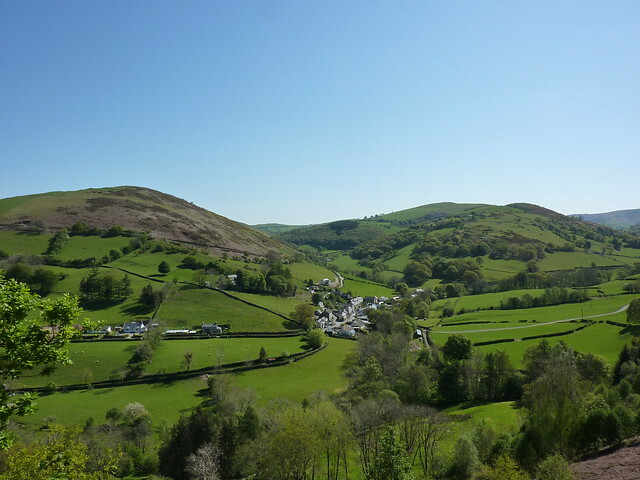 There are limited bus services which connect with the trail, although reasonable services run from Llanidloes, Machynlleth and Welshpool. National Express service 409 connects Welshpool with Shrewsbury, Birmingham and London with one service a day. In recent years the Glyndŵr’s Way has been poorly served by guide book publishers. Several guide books went out of print, or were extremely hard to find, including – the official guide book by Aurum Press. Given Aurum produce official – usually excellent – guide books for all other National Trails in England and Wales, this is rather disappointing. However things seem to be on the up, with several new guide books and even a strip map being published in 2014. Published by Kittwake Books, David Perrot’s Glyndwr’s Way National Trail Guide is an updated version of his previous guide book for Aurum Press guidebook, which is now out of print. The text has been thoroughly revised, with the assistance of the trail officer. Note that you can still find the Aurum version for purchase online, however the route has had some changes since Aurum published it in 2004 so it has little to recommend it. We have yet to see a copy of the Kittiwake version, so we can’t tell you what kind of mapping it contains – if any. Last updated in 2018, Cicerone also publish a Glyndwr’s Way Guide. It has a compact format, easy for stowing in your pocket. It also includes Ordnance Survey mapping at the 1:50,000 scale, although in common with other Cicerone books, it doesn’t show a wide area around the route. It’s recommended that you take full maps with you. Also available is the compact Glyndŵr’s Way guide by Mike Slater. This 32 page booklet was published in 2012 and features hand-drawn maps. Finally, from the Walks with History series is Richard Sale’s Owain Glyndŵr’s Way. Whilst this is part guide book (with hand drawn maps), it also features extensive historical information relating to the trail. Changes in the trail mean that the guide book section is now out of date, and to be frank, not the best for navigating from. However the history section is the absolutely fascinating, providing tales from across the centuries. It’s well worth getting in order to learn more about where you have been walking. If you can get hold of it, anyway. Harveys publish a strip map for the entire route, at their own mapping at the 1:40,000 scale. This is the first strip map of the trail, and was published in February 2014 so it should take into account recent alterations. So what more is there to say or do, other than to ask “When are you going then?” For you should. The Glyndŵr’s Way is an excellent walk that’s a delight to do. It can be hard work – there’s a lot of hills – but those sweeping panoramics certainly make up for it. It’s also a walk that goes through a region that many people simply don’t visit. However it’s one that’s well worth visiting. Go on, head out there. The people are lovely and you’ll have a great time. Have fun, and if you do have any questions about the walk, please feel free to stick them in the comments box below. hiya im looking to do the 135.5mile hike acrosse the Glyndwr’s way national trail, im looking to do this for a charity but wanted to know hikers aloud to camp on route If they aren’t blocking the path and take their rubbish with them? The law unfortunately doesn’t allow walkers in England and Wales the legal right to wild camp (unlike Scotland where you can.) This means that officially you need to get the permission of the landowner before you camp. This is easier said than done, it must be said. But as this is the law, it’s what I recommend here! That said, I’m sure some people do wild camp on the trail, and don’t have any problems. If you do try it, be prepared for farmers to ask you to move on! In some parts of the country, landowners are far more tolerant to wild camping than others. I don’t know what the approach is in Powys, however given I found several locked gates when I walked it, you can guess some are keener than others! If you do decide to risk it, may I wish you very good luck! Near Welshpool the path has been re-routed to use a pre-existing rght of way from SJ177078 to SJ174084. Yesterday (26/3/2014) the path was a quagmire and the only way I could avoid slipping over on the steeper parts was to hang on to a wire fence and drag myself up. The farmer had ploughed right up to the fence and grown turnips. Then turned out several hundred ewes to eat the turnips. Add the wettest winter for a hundred years and the field is like the Somme! Effectively the path is impassable here. It looks like the landowner is in dispute with the authorities. Marker posts have been damaged and/or thrown in the hedge and a style has been trashed at SJ174083. You can divert around it using paved lanes, but if you want to assert the right of way be prepared for mud and struggle! It was a common theme when we were walking that some farmers clearly didn’t want walkers there. We had several locked gates for example, which we were forced to climb over. One was clearly on its last legs thanks to people doing just that. Well if had and the farmer’s sheep got out, I wouldn’t have cared less. I’ve seen this happen on other trails as well – there was one particular farm on the Coast to Coast who seemed to delight in dumping manure and refuse next to the path – but never to the extent that I saw on the Glyndŵr’s Way. Not wanting to put people off here – generally the walk was fine – but there’s clearly issues in some parts. I just red the answer i was looking for,about wild camping. I am planning a hiking trip somewhere in the UK, I just like to camp wild to. Makes it all a bit more real for me. So in Scotland i am able to camp out in the wild. Is it any where in Scotland or also just in some parts. I am wondering if you can recommend me a trail in the south of Scotland about 150 miles or so. for a day or 10.
where i will hike (or try to) the PCT. a total of 2663 miles. 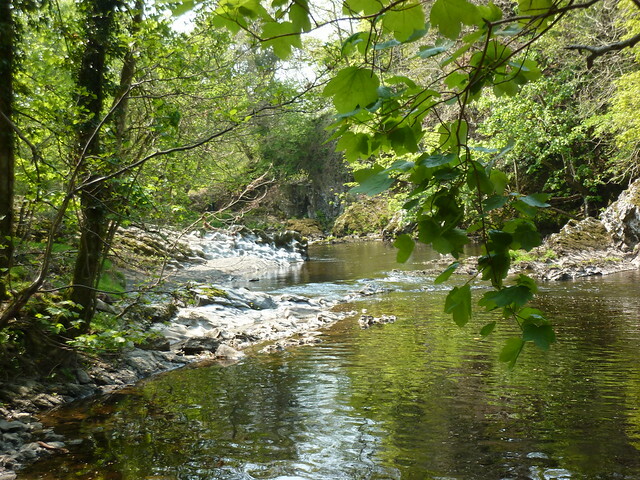 The Scottish Outdoor Access Code website has all the details on where you have rights to camp – note that this is a generic page as the access code covers many activities, but camping is one of them. I haven’t first hand experience with too many trails in the south of Scotland – just the Southern Upland Way which is about 220 miles, although you could do a chunk of it. I’m considering doing this walk, either from Knighton or Welshpool to Machynlleth, but all the itinaries I’ve seen show the walk in the Knighton to Welshpool direction. Is there a reason this seems to be the preferred direction? Thanks (and also for the great info). Tracy – I can’t think of any particular reason why everything goes Knighton to Welshpool. I suspect it’s just that there’s an unwritten convention that walks tend to go south to north, or west to east. Great resource this. Just a note that Harveys Maps published an excellent map of Glyndwrs Way last year, part of their XT40 National Trails series. Printed on waterproof and tear resistant polyethylene, tt has the usual high-quality Harveys mapping, clear and accurate. Well recommended. Thank you for all information! I am planning my trip for May or June 2016 but I don’t necessary want or need to do 16 plus miles in one day. Do you think it can be done with less and still have some kind of accommodation for food and shelter? I will be prepared to camp if necessary. Cheers! Hello Lucia – on the northern section you should be fine, however the southern half is more difficult. There are a few B&Bs mid way between towns, mainly on farms. I didn’t see any campsites but you could wild camp if you can find somewhere the pitch up. ii m looking to do the trail this year . been looking for info , stumbled across your site. .. fantastic. trail info , reveiws on accomitation . .. thx. Great Site and will be happy to donate! I’m doing the walk with my son this year as part of my 60th celebrations and found your site very useful…..thanks! will be wild Hammocking most of the way but will probably grab a B&B midway to freshen up. Hi Ang – there are definitely several fields with cows on that section of the trail. I’m thinking about the walk in july or august 2016. I hiked the skye trail last summer (and the west highland way before that). It was an great experience, but i kind of disliked the restless wind : my tent “flap-flapped” so much, i could barely sleep. Would you have any information about the weather on the Glyndwr’s Way ? Is it windy ? Hi Ferdidinando – the weather wasn’t particularly windy when we did it. We had some lovely weather, especially given it was April! Of the 2 legs of the ‘V’, which would you say was, a. the more challenging, and b. the more interesting? Clare – I’d go with the bottom of the V every time. Certainly far more challenging, and has the better views. Are you meaning Knighton to Machynlleth stretch? Yes. Definitely Knighton to Machynlleth is definitely the better of the two. Thank you Andrew, that’s very helpful. Are there any groups or walking holidays who do this walk ? I am planing the complete walk, including the 2 Offa Dyke Sections this year in aug/sept. with my dog and our tend. I plan to get from camping place to camping place, but there are a few parts where there is nothing for us to stay. And in case we don’t make it to get to the next camping in time, we are forced to pitch the tend anywhere. As it is difficult to know in advance where this can happen, do you have any advices how to handle this situations? All I can say Beatrix is keep an eye on the map for likely locations. Look for fields and moorlands, preferably near water. But on the Glyndŵr’s Way, be aware that the most likely spots will be filled with sheep. Im enjoying your site and wanted to pick your brains! we are looking at 4 days, 2 full (15-20) 2 half 10ish mile maybe less if its hilly, ideally a route with hills and views, (but as we will be carrying tents not too hilly!) some nearby campsites and ideally not too many cows and sheep as im taking my dog. Does this exist. Im thinking of either Shropshire hills, Snowdonia or Glyndwrs way as I think they will be more challenging and rewarding. Wondered if anything sprung to mind? Hy, it is advisible to Walk the Way in the Wintertime? How is the situation on the campsites between dez/Jan? Im looking for a nice walk in Wales/England 10days/ 200-300km. Mike – generally I wouldn’t recommend the Glyndŵr’s Way in the winter due to the distances between places where there is accommodation. Due to the short days, it would be a challenge to get to the next place before the sun set for the day. The trail itself isn’t too difficult and could be walked in winter. As for campsites, well every one varies. However it’s quite standard in Britain for campsites to be closed between October and March due to the weather and reduced demand. First Published: 6 June 2013. Last Updated: 1 January 2019.